It’s my favorite time of year! Rehearsals for our 11th annual production of A Christmas Carol have begun. As always, we have an amazing cast, and I’d like to take a moment to introduce you to our youth company. 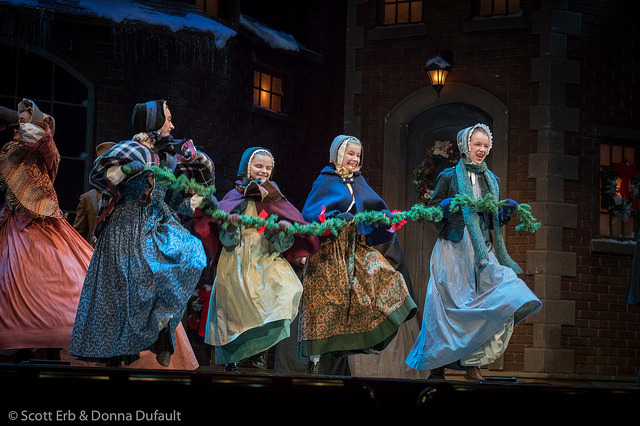 This year, nearly 100 young performers auditioned for A Christmas Carol. Young girls from Worcester, Boston, New Hampshire, New York, New Jersey, Texas and even Miami were considered for the Ghost of Christmas Past, a role which has been played by Broadway’s Tori Heinlein for the last 6 years. After calling back less than a dozen girls for the part, we are very happy to have Marissa Simeqi as our newest ghost. She is the recipient of the 2017 IRNE Award for Promising Young Performer. 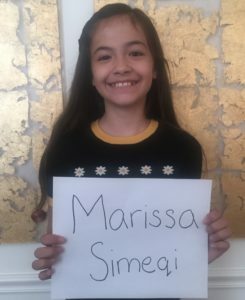 Marissa was also recently dubbed as a “marvel” by the Boston Globe for her depiction of Young Alison in Speakeasy Stage Company’s production of Fun Home. I can’t wait for you to see her and the rest of this year’s cast, which also includes, Zöe Stewart returning for her third year (Martha), Katie Wylie (Fan), who recently appeared in the national tour of Annie, and our youngest cast mate, the seven-year-old Luca Deliso, making his professional debut as Tiny Tim. You won’t want to miss this talented bunch! Check them out in the video below. This entry was posted in A Christmas Carol, Family-Friendly Shows, Holidays in Worcester, Upcoming Shows. Bookmark the permalink.